Toronto – October 7, 2016 – British chef/author Jamie Oliver and members of the Stop Marketing to Kids Coalition and other experts discussed the need for an action plan to overhaul the nutrition landscape in Canada. Acknowledging that there is no “magic bullet” to improve unhealthy diets the panel identified a range of solutions to support Canadian families to make healthy choices. Strategies include restricting food and beverage marketing to kids, implementing a levy on sugary beverages to fund healthy living initiatives, improved nutrition labeling, ensuring healthy choices in schools and other settings, investing in Indigenous food programs, and better food education. Panel members included Geoff Craig, Chief Marketing Officer, Heart and Stroke Foundation; Dr. Jan Hux, Chief Science Officer, Canadian Diabetes Association; Dr. Tom Warshawski, Chair, Childhood Obesity Foundation, Senator Nancy Greene Raine; and Nathan Sing, youth advocate. The session was moderated by Nick Saul, President and CEO, Community Food Centres Canada. The majority – 90 per cent – of marketed food and beverage products is high in fat, sugar and salt. The Internet is a key venue – 85% of food brands most heavily promoted to children have websites that directly target children or have content that interests them. 70% of Canadian children do not eat the minimum daily recommended 5 servings of fruits and vegetables. Sugar-loaded beverages are the single greatest contributor of sugar in our diets – one can contains 40 grams, or 10 teaspoons of sugar. Evidence links excess sugar intake and sugary drinks, with adverse health effects including obesity, heart disease and stroke, diabetes and other metabolic conditions, dental caries, and certain types of cancer. 31% of Canadian children and youth ages 5 to 17 are overweight or obese. Over the past 70 years, consumption of processed and ultra-processed foods in Canada has doubled, from 30% of the average family’s food purchases to 60%. 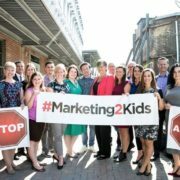 The Stop Marketing to Kids (Stop M2K) Coalition was founded by the Heart and Stroke Foundation in collaboration with the Childhood Obesity Foundation in 2014. 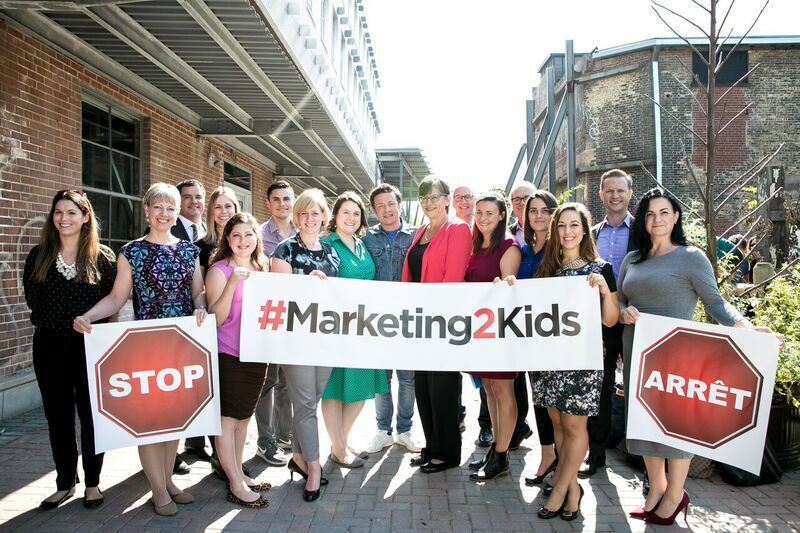 The Stop M2K Coalition is made up of 11 non-governmental organizations with written endorsement from dozens of additional organizations and individuals. Our goal: to restrict all food and beverage marketing to children and youth 16 years and under.